Making Excel users benefit of the quick and powerful Python GUI tools was an idea that looked pretty interesting. 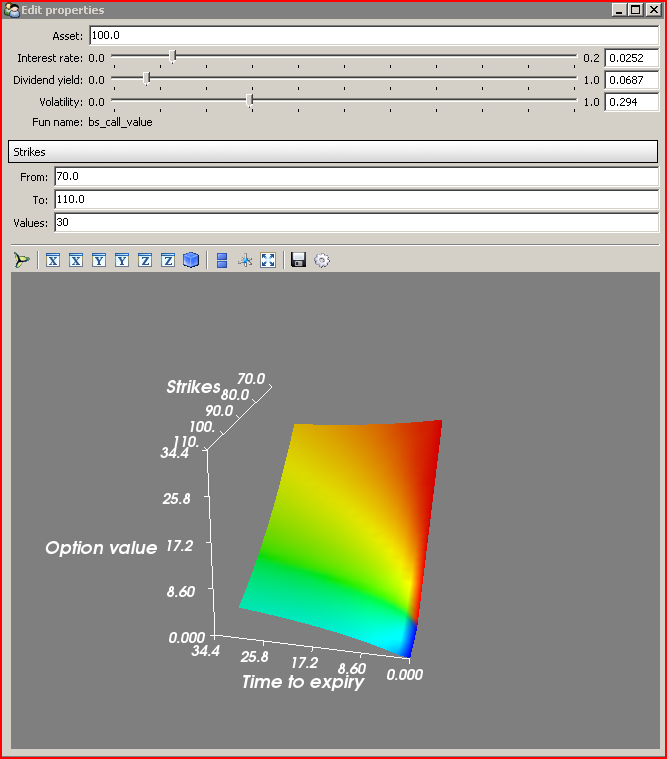 Python has some powerful libraries for numerical computing, 2D/3D visualisation, etc. For the last London Financial PUG meeting (March 11), Travis and I had the idea of making Chaco playing with Excel thanks to a cool tool named pyxll and the pywin32 extension. 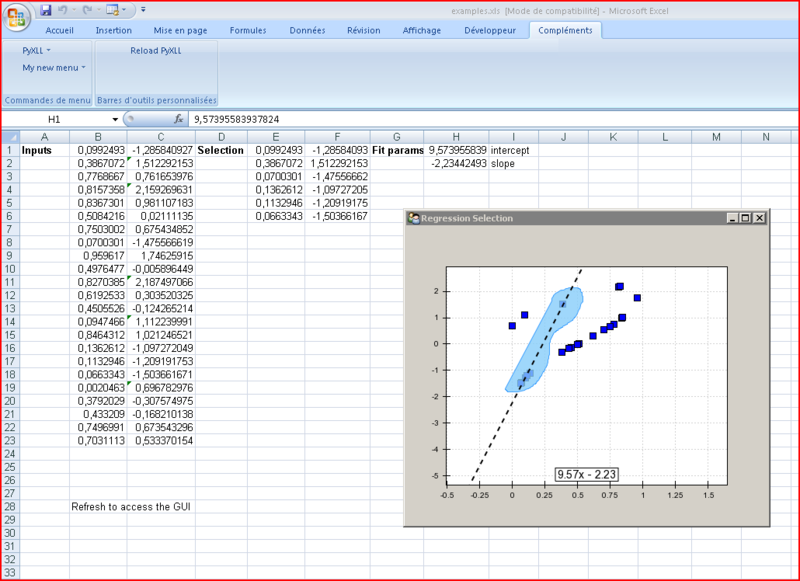 The example allows the user to select a range of columns in Excel, send them to a Chaco regression tool where the user can select points. A Chaco tool does lively compute a regression on those points and update the Excel sheets. 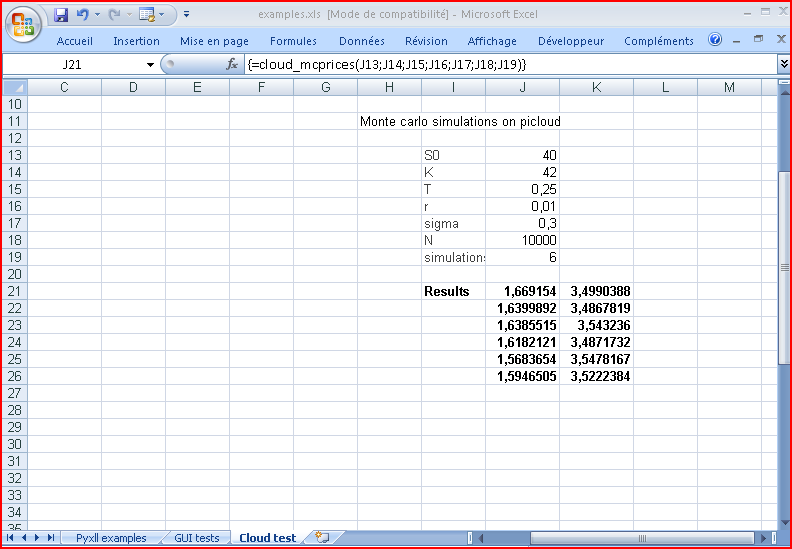 The result is pretty interesting as shown on the screenshot here below. (I will most probably post a video showing how interactive it is). Pyxll is a very interesting library allowing you to very easily make your Python function available within Excel (either as menu or functions). Thanks a lot to Tony Roberts for his excellent pieces of advice on using pyxll for the demo. You are currently browsing the Things and thoughts blog archives for March, 2010.